Diwali is approaching in couple of days. I have a list of sweet and savory dishes to make for this celebration. I dunno whether I can make all of them, but sure I will try my best. 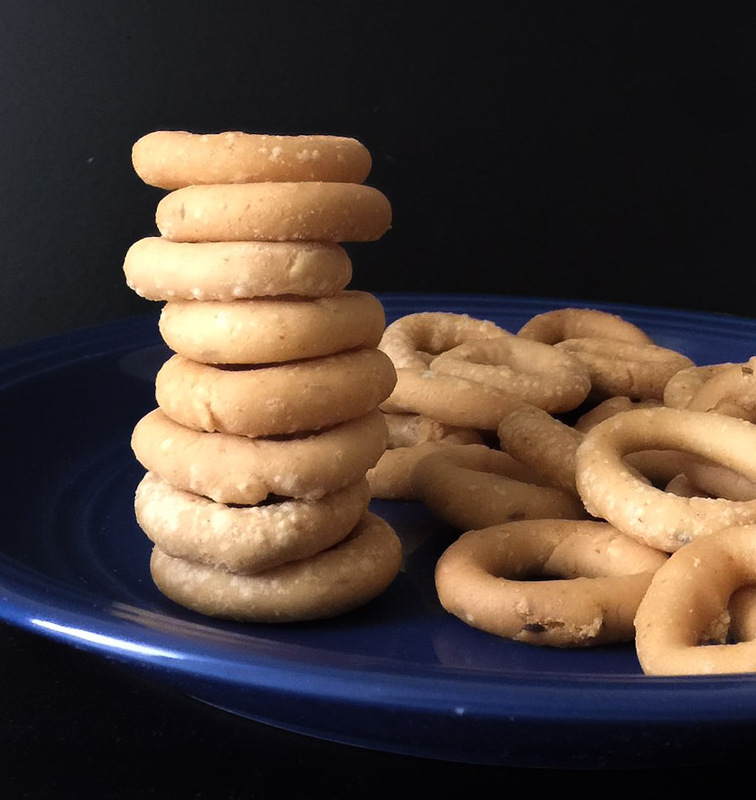 Today I made this cute shaped ring murukku. It turned out so good. 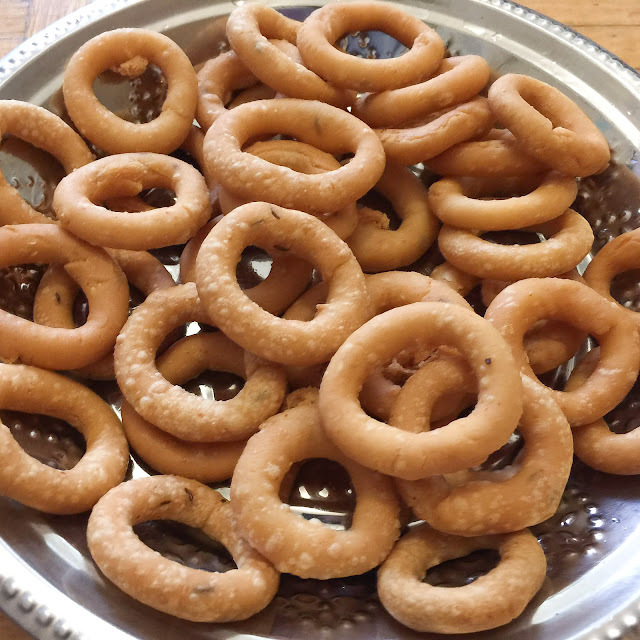 Ring Murukku is a savoury dish, which is made of spicy rice flour dough, roll them into ring shape and deep fried in vegetable oil. 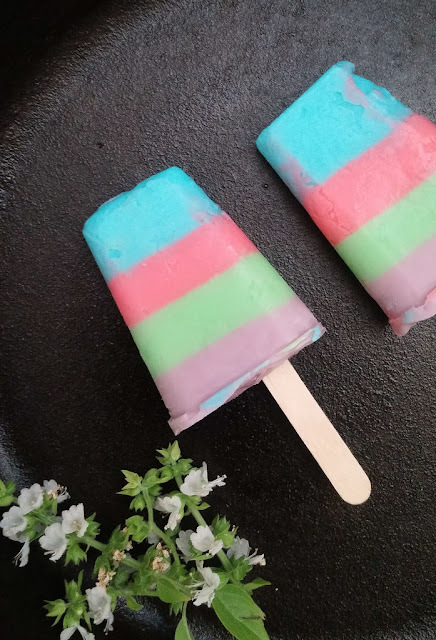 Check below for the detailed recipe. Add in butter, salt and give a stir. Add rice flour into the boiling water , immediately remove the pot from flame and mix it all without lump to make dough. Knead well and the dough should be in thick texture. Add some flours if it's still sticky. Keep the dough covered and let it warm for sometime. Once it is warm, add in chilli powder, asafoetida, sesame seeds, cumin seeds and knead all together. Take a small portion (like gooseberry size) from the dough, roll into a thin rope and join the end of rope to make ring. Repeat the same procedure for the rest of dough. Head oil in a pan for deep frying over medium high flame. 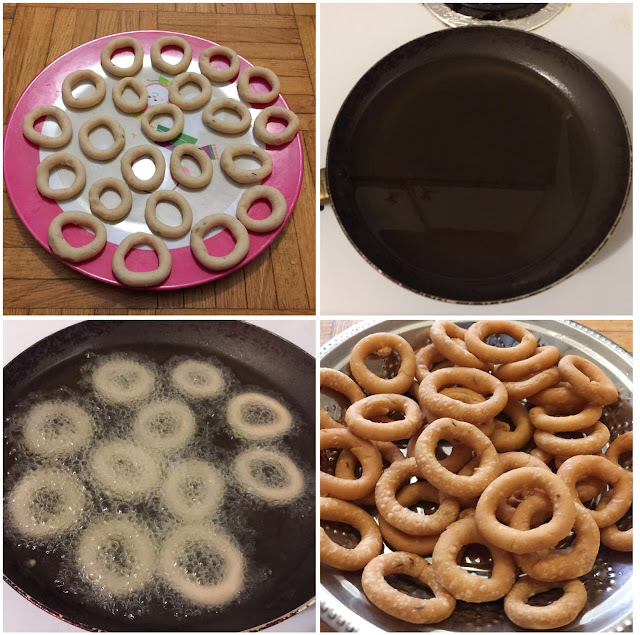 Gently drop the ring shaped dough into heated oil. Fry them batch wise on both sides until it turns to golden brown color. Remove excess oil in paper towel. Once it is completely cooled down, transfer into air tight container. That's all :) ADVANCE HAPPY WISHES TO YOU ALL! Here I made this with store bought rice flour. 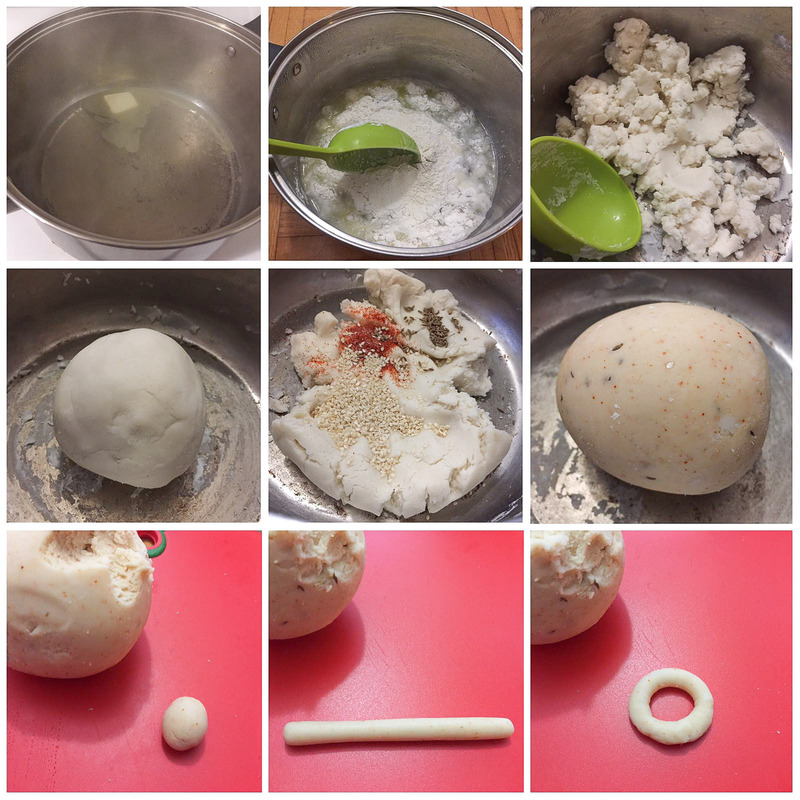 It will taste so better if you try with homemade rice flour. Test oil by adding a pinch of dough, if it's rise up immediately, then the oil is ready for frying.